A three-goal flurry in the first half was all that was needed to secure three points at home to take ICTFC to the top of the table and to continue a five game unbeaten streak. But two late goals from Partick Thistle made the result look tighter than originally expected. Partick Thistle visited the Caledonian Stadium on the back of three straight domestic away defeats, but it was hoped that some former faces would create a challenge for the Caley Jags’ defence. Both Andréa Mbuyi-Mutombo and Miles Storey started up front for the visitors, who had previously played short periods up north for the Highlanders. Jordan White was picked ahead of Nathan Austin and George Oakley in what seemed to be a 4-2-3-1 formation, and he didn’t take long to take advantage of his opportunity. Against some early possession from the visitors, the Caley Jags opened up the game with one of their first shots on target. On the 11th minute, Liam Polworth hit a volley into the ground from just outside the box and Cammy Bell dived left to punch the effort on to the post. But White was on hand to bundle the ball in on the follow up with his head. It was White’s first league goal of the season, and a reward for Robertson’s rotation in the squad. Moments later, Craig Slater attempted a shot from outside of the box for Partick by cutting inside onto his right foot, but the attempt was weak and easily saved by Mark Ridgers. Two setpieces for the home side in quick succession seemed to bring the most threat in extending the lead. Brad Mckay nodded low a Joe Chalmers whipped in a free-kick, but his header was comfortably saved by Cammy Bell. The second was not so easily dealt with, Liam Polworth took a corner shortly after the Mckay chance, and the ball was met by Jordan White. Again, Bell palmed the shot away but right back, Shaun Rooney pounced to side foot it into the goal from close for his second consecutive goal in two games. Perhaps smelling blood, ICTFC had a stream of chances to end the game. Tom Walsh attempted to extend the lead after neatly jinking inside the box onto his right foot but his low effort wasn’t enough to test Bell. As Polworth warmed into the game, he tried to score an audacious effort with an attempted lob from the halfway line. Th ball started to dip as it got closer to the crossbar, but it wasn’t enough to dip below for arguably the goal of the season so far. 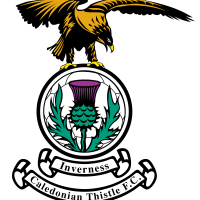 Patrick Thistle midfielder, Brice Ntambwe was starting struggle to manage the ICTFC attack, and it was he who eventually conceded a penalty. The home side were on the counter attack and Polworth had two defenders to bypass in the middle to score. But the imposing Belgian clumsily brought down Caley Jag’s number 7 and the referee had no option but to point to the spot. Welsh stepped up to place the ball and calmly dispatched in the opposite direction to Bell. The home side were cruising to their second straight win. It was then a surprise to see the referee pointing to the spot at the opposite end. Miles Storey was played through and Sean Welsh failed to win the ball, taking the man instead on the edge of the box. The referee pointed to the spot amid the contentious call but the former Caley striker failed to dispatch the spot kick. He shot low and left but Ridgers was equal to it, reaching down to tip it up. The Englishman managed to reach the re-bound but his left footed shot snatched at it and it went wide of the target. Jamie McCart slotted in at centre-back shortly after the penalty as Mckay had to cover for a hobbling Shaun Rooney. ICTFC went in at half time looking to maybe add gloss to a fairly comfortable display, but it seemed that Patrick Thistle came back out with a point to prove. The away side was gaining more control of the ball and trying to probe the Caley Jag’s defence whenever they could. Early into the second half, Slater took a great free-kick into the box and it fell to Erskine, but his effort bounced over and landed on Ridger’s net. The latter then linked up with the boyish looking James Penrice, but his effort went wide of the target. Like most games, sometimes a scuffed effort is more of a threat than a well struck shot and that was case with a seemingly conciliatory goal via Blair Spittal. With roughly ten minutes to go, the former Dundee United midfielder cut across a ball that the Caley Jags defence failed to deal with and it swung away from Ridgers into the back of the net. As the game dragged on, some ICTFC players started to pick up knocks. Liam Polworth came down with a tight calf and then it was followed with an apparent hamstring injury to recently subbed on George Oakley. Polworth managed to resume play but the latter did not come off well, with the Englishman visibly frustrated with his short cameo for the home team. Just before the full-time, the visitors added another goal to the game with Kris Doolan prodding home an effort to tighten to scores but it wasn’t enough. ICTFC had the three points ahead of their big derby game away in Dingwall.